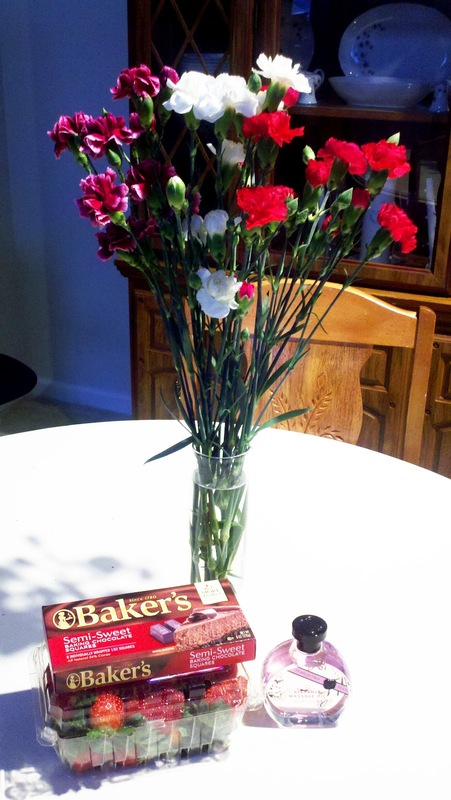 So you probably remember my post about what my sweet hubby gave me for Valentine’s Day (with a little help). The day after he came home with a bunch of titillating horror stories about what the rest of guys at work shared about their Valentine’s Day experiences. From guys who shelled out $150+ on flowers for new girlfriends to ones who paid for an expensive dinner to have the girlfriend pout and cause drama because she got that and chocolate–not flowers; to big fights between hubbies and wives to other guys who just kind of shrugged about how their day went….the list just went on and on. All the guys at work were shocked when he told them that he had made some fake flowers from things we had around the house, chocolate someone else sent, and then I cooked dinner–and I was perfectly happy and sweet about it all. One of the guys who had a particularly rough Valentine’s Day kept making Bob tell other guys how our Valentine’s day went–haha! Again–simple but so sweet! The carnations still look gorgeous and the strawberries were amazing–just as tasty as edible arrangements for a fraction of the price! Vicki Secret is my favorite spot for oils/lotions/perfume so he hit the nail on the head with that too! The goodness continued when my lovely companies decided to gift me as well! 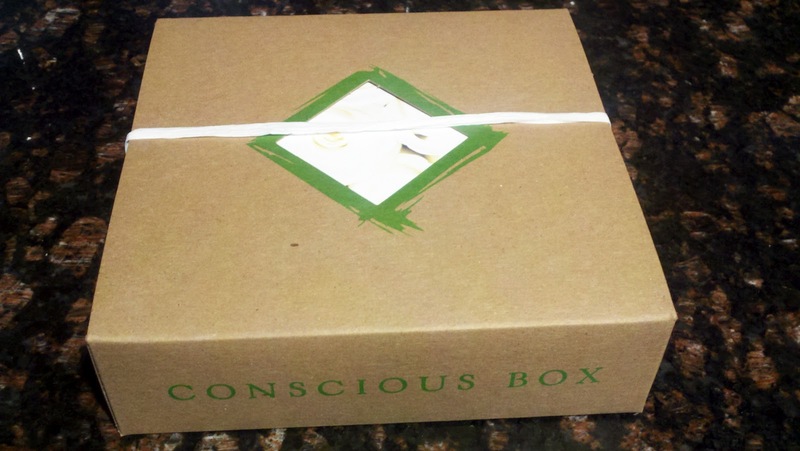 I wasn’t expecting another Conscious Box so was delighted when they sent me a gift box for Valentines Day-how fun is that?! 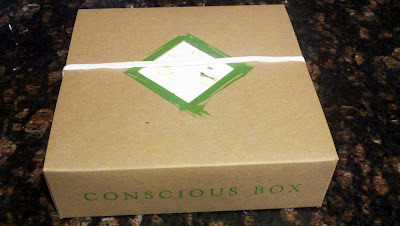 Just like the other Conscious Boxes I received this one was chock full of goodies and packed with care. 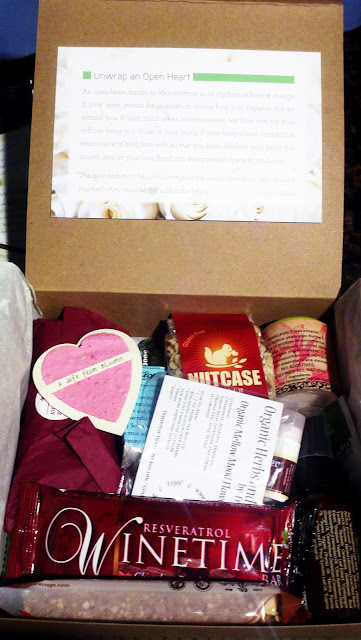 It has a little bit of everything from diaper rash cream to a nummo antioxidant packed chocolate bar and even a few “adult only” goodies in the spirit of Valentine’s Day. It was all perfectly geared towards me as a mom and wife! Having received 3 of their boxes now I can confidently say that if you’re a green product lover you will adore these boxes! They would also make sweet and fun gifts for that person who you don’t know what to get, as everything in them is consumable (no clutter gifts are the best!) and who doesn’t love trying new products?! So you could say I had a little bit of Valentine’s Day spread through all month….and that is pretty sweet!